Little known fact: As a child, Daniel Libeskind was an accordion virtuoso. Until he was about 18, Libeskind toured the world playing concerts on his accordion and busting out works like Flight of the Bumblebee before he was in high school. “I think I probably made more money per hour than I do now,” he joked last night in Cosentino’s showroom where he revealed his latest venture: A 24-hour musical experience with over 75 consecutive concert events in Frankfurt May 21–22. The event, One Day in Life, was meant to capture what Libeskind defined as the “18 dimensions of existence,” such as body, will, memory, gravity, secret, work, and waiting. These “dimensions of existence” correspond with 18 different venues throughout Frankfurt, including Alte Oper, whose artistic and managing director, Dr. Stephan Pauly, coordinated the event with Libeskind. 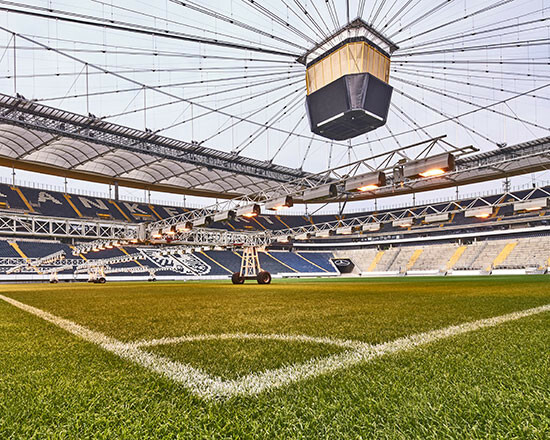 Other venues include a bunker, the Hospital zum heiligen Geist, the Commerzbank Arena, VGF Betriebshofand rail yard depot, a boxing gym, a pool, and a moving streetcar. Libeskind also selected the performers and ensembles to play the music, which includes a mix of classical and modern pieces. The music is meant to evoke its venue’s assigned dimension, for example, French composer Marin Marais’s Tableau de l’Opération de la Taille will be performed at the hospital. 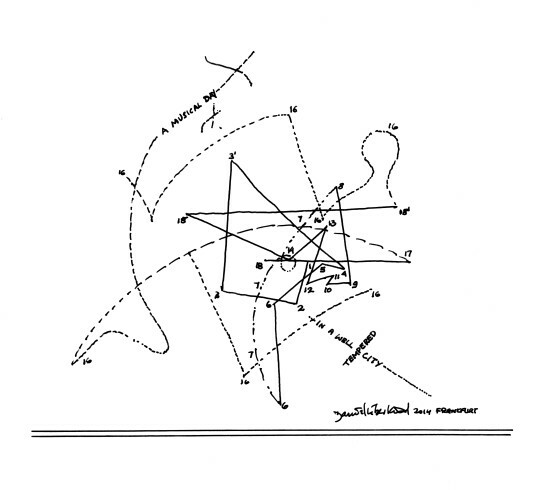 In a trifecta of Libeskind’s artistic talents, he created a drawing of the intersection of music, architecture, and the city entitled Musical Labyrinth. 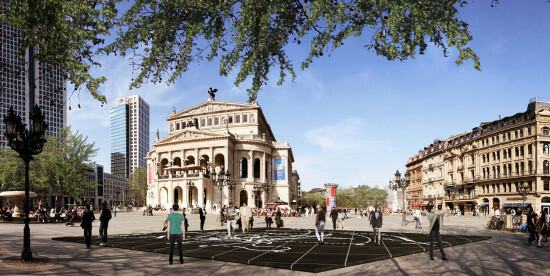 The drawing corresponds with the locations of One Day in Life and will be etched in white on a large, inky black platform of Cosentino Dekton tile in front of the Alte Oper Concert Hall. After the unveiling of One Day in Life AN’s managing editor Olivia Martin sat down with Libeskind to discuss how music, art, and architecture can work in concert. The Architect’s Newspaper: Has music always played this prominent role in your art and architecture? Libeskind: Drawing is like writing, like making music, like architecture. It’s an art that has to do with the mind, the hand, and your heart. 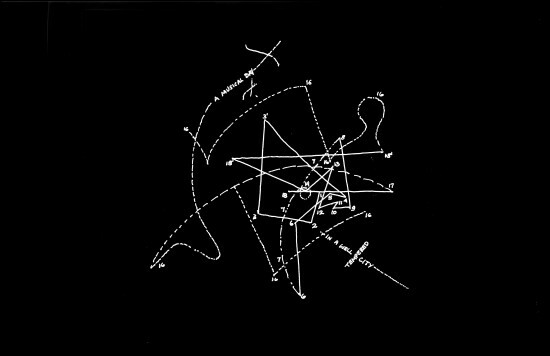 That’s the connection in music and architecture. Did picking these locations and working out the music to be played in them inspire you to build anything in the future? It made me think about concert halls—there are not enough new concert halls and when they are built, it is not in a 21st-century way. They are more like the Viennese concert hall, more nostalgia about old acoustics, I think we need contemporary 21st-century ways for people to form a community around music, I thought of that a lot. I built not long ago the Grand Canal Theatre in Dublin and I especially took care with acoustics. I thought, what if I were up on stage? What does it look like? What does it feel like for someone performing? 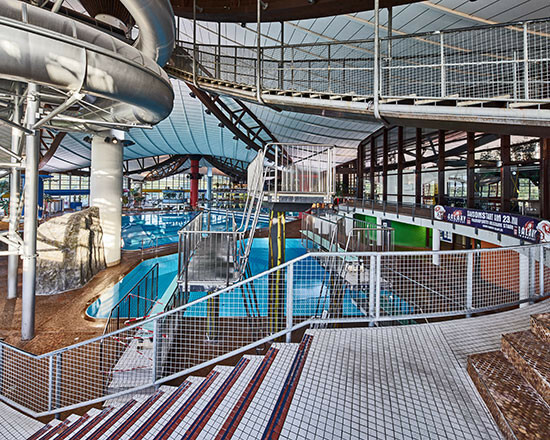 Do you always take an acoustic-centric approach to your buildings? I think of acoustics first. I think we are too addicted to the visual world today. It is a great medium to promote visual work but the inner ear when you listen and your orientation is more prominent than seeing. I also directed an opera, Saint François d’Assise by Messiaen. At first they asked me to do everything, including conducting, but then I looked at the score and it would take a year just to do the score—I’d have to give up architecture. So I said no, I cannot conduct, but I did everything else. I did the direction, the costumes, the stage, the lighting, everything except conducting. I’ve also done a lot of set design for opera, but I am an architect, I don’t have time for stage design. So would you say you’ve picked architecture over music? No, I believe architecture is an extension of music. For me music is not a metaphor, it’s not the analysis of notes. It’s not an applique of music to architecture. It is a condensation of emotional intelligence and the sense of orientation in the ear and that is what connects it to the field. We should analyze our cities acoustically. How beautiful would it be to not only decorate our city with green but also think about the sound of New York? Every city has its own sound and it would lead to greater joy if people thought about the sound of their cities and the spectrum between silence and noise… and maybe it would give us more perspective than the simulation on our devices.